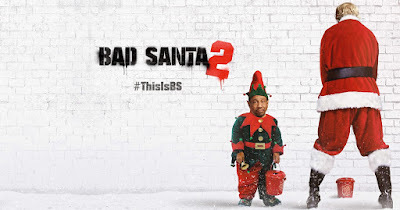 Thirteen years have passed since the original Bad Santa, and now professional thieves Willie T. Soke (Billy Bob Thornton) and Marcus (Tony Cox) reunite in the long-awaited sequel, Bad Santa 2. The first trailer finds that disgruntled duo talking business at a diner, as Marcus teases a new job with a potential windfall of millions. The highlight here is not so much Billy Bob and Cox but the return of Brett Kelly as Thurman Merman. This time around Merman is 21 and ready to partake in some of the adult fun himself. Bad Santa 2 hits theaters November 23th, 2016 via Broad Green Pictures. The film was directed by Mark Waters (Mean Girls) and written by Shauna Cross (Whip It), Doug Ellin (Entourage), John Phillips (Dirty Grandpa) and Johnny Rosenthal.